As much as it is nice when a site does not go ridiculously over the top with its design and theme, it’s nice if you can know that they’ve made a bit of an effort. This is certainly not the impression you get when you first visit Casumo. The idea is that you have arrived on a strange and peculiar planet and the entire idea is that everything Casumo is a little off-centre and a little kooky. But the design does not really back this up. Looking like a few vague images have been pasted on a basic white background, the site is not exactly eye-catching. But is this due to laziness, or due to the fact that Casumo is letting its content speak for itself? On careful examination, the answer probably lies somewhere between those two options. The promotions and games on offer are impressive, but there is little evidence to suggest that a slightly more cohesive design concept wouldn’t have helped the overall feel and image of the site. There is a focus on gaming for mobile users at Casumo which is still lacking on many bigger and better known sites. This attention to an extra audience doesn’t take away from play for desktop users, and means that Casumo reaches out to its total possible market. 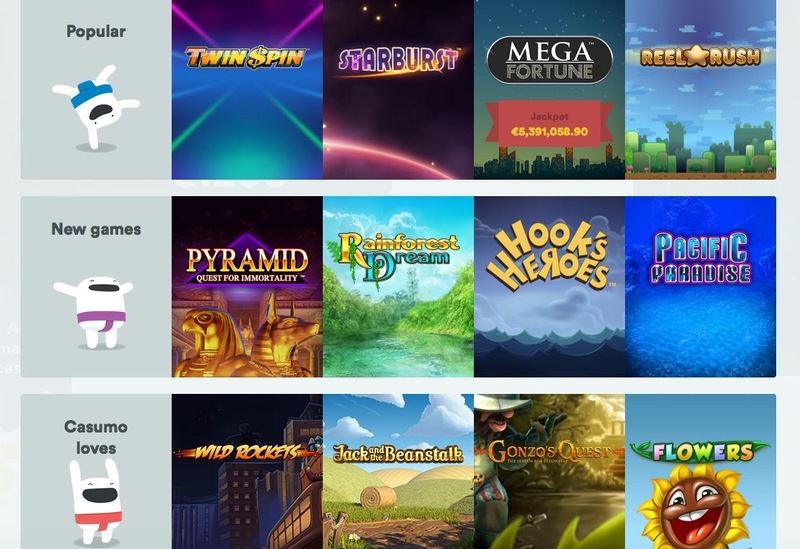 The Games are predominantly NetEnt titles, which is always a good sign for an online casino, as NetEnt games always prove popular choices for newbies and seasoned veterans alike. There is a strong selection of slots, from popular favourites to others that may be new to you, so you are likely to always find a slot game that suits what you’re looking for. Not so into slots? Don’t worry, you’re not forgotten at Casumo. 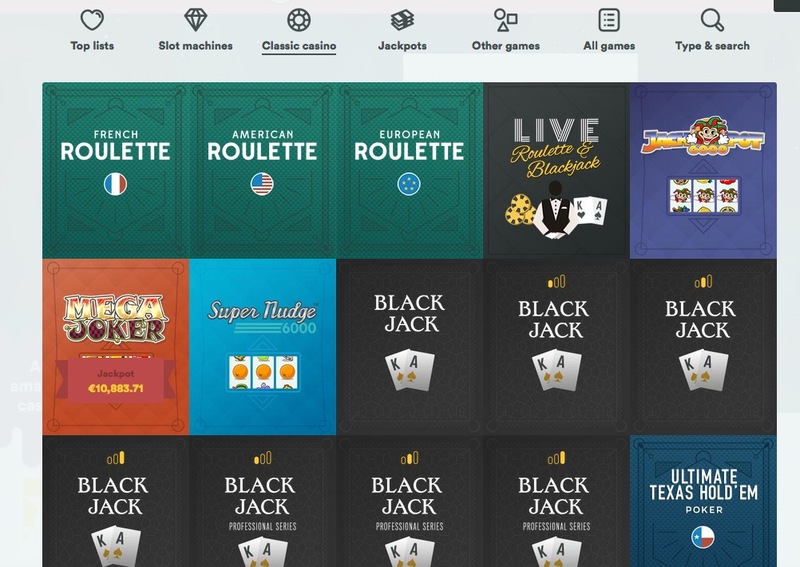 As good a range of table games as you will find anywhere can be found here, including multiple versions of Poker, baccarat, Roulette, and Pontoon. There’s also Keno and scratch cards to ensure that all players will find a game that matches their preferences. The games here are easy to access and navigation of the site is very easy to use. In honesty, if you ignore the weaknesses of the design, the theme and navigation of the site are both very good. Casumo is a pretty exciting site on most levels. The initial doubt involving the design will be swiftly alleviated because effort has gone into making everything interesting. Even the registration process is quite pleasingly different as you are invited to join Planet Odd. Fun is at the heart of online gaming, and Casumo has embraced this whole-heartedly. When you combine this focus on entertainment with an excellent opening offer, and as good a selection of games as you are going to find anybody, you can forgive the lazy homepage design and the lack of other notable offers, because this is a site that you can truly enjoy.